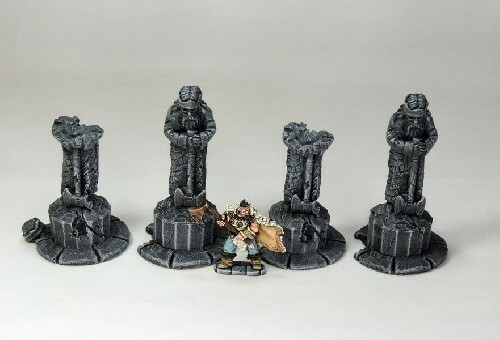 This comprises 4 x statue castings. There are 2 different styled castings –highly detailed resin castings and all pre-painted in grey shades. One style features a complete Dead King statue and the second styled statue features a Dead King statue in a ruined state, with the head laid at the foot of its plinth.